Double World Champion, Casey Stoner, climbed aboard a MotoGP machine for the first time today since retiring from the sport in November 2012. 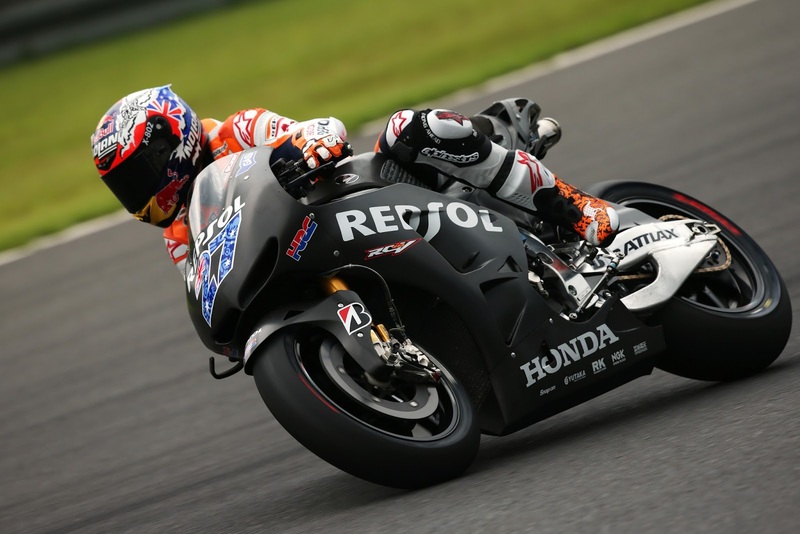 However, Bad weather affected his return and the Honda development test at the Twin Ring Motegi in Tochigi, Japan. 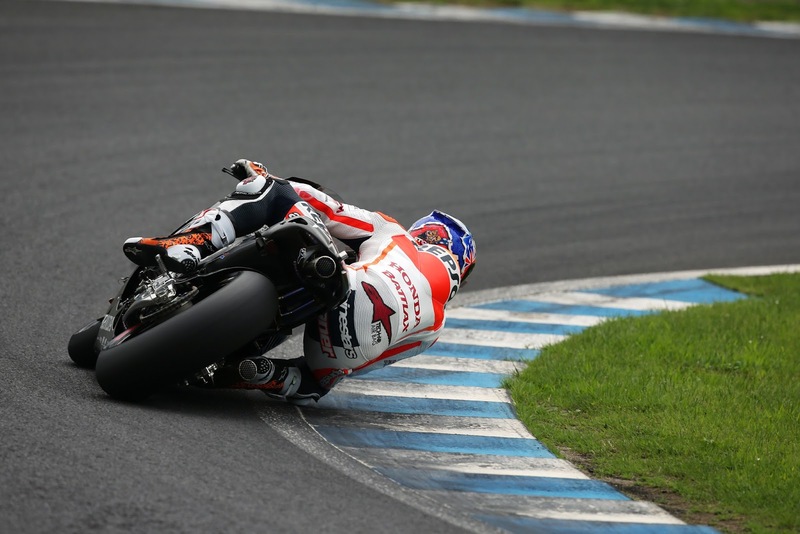 The original plan was for Casey to re-familiarise himself with the RC213V – 2013 machine, in the morning and then test the new 2014 prototype in the afternoon and a few other test items. Unfortunately, after just 6 laps the rain arrived and halted testing for the day.